Jypyä Pop (Turku, Finland) on 3 February 2016 in Lifestyle & Culture and Portfolio. 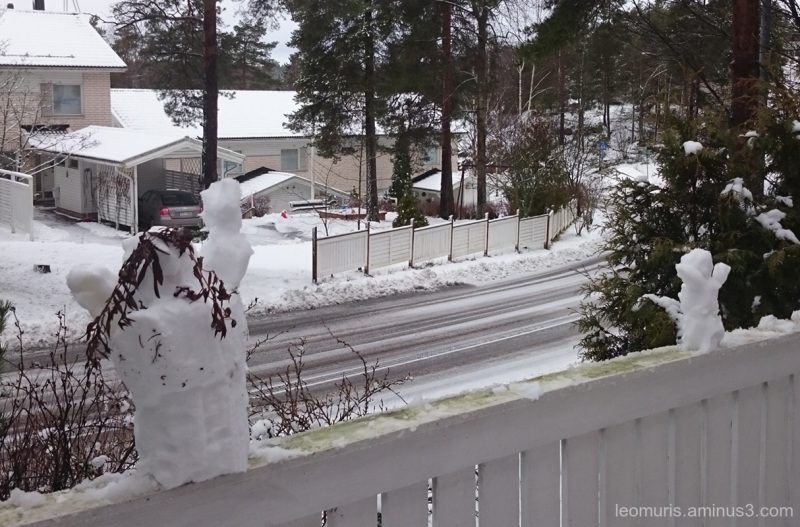 Tuesday was a wet snow, and it was possible to make snowmen. They were ill-standing, but luckily I got two photo. C'est original sur cette barrière. @Marjolein: It is just so. Haha, so cheerful snowmen ! @Hiro: They had good day. how adorable they look !!!! Love this image !!!!! @Devi: They melted in joy and maybe it also helped to rain. That is very nice from the snowman . Hello right back at ya. How cute to put them up on the fence! They are such happy guys! Cool shot. @Steve Rice: Too warm weather had them fatal. Sweet snowmen and a beautiful composition .